Taiwan takes another step towards trade’s big leagues by signing a new free trade agreement with Singapore. Taiwan has signalled its increased emergence on the global diplomatic stage by inking a free trade pact with Singapore, a move seen tacitly endorsed by Beijing. But while Thursday’s agreement marked Taiwan’s largest trade deal yet with a country that has diplomatic relations with China, Taipei proclaimed even bigger ambitions. “This landmark development, along with a similar pact concluded with New Zealand in July this year, will help pave way for Taiwan to join the Trans-Pacific Partnership and Regional Comprehensive Economic Partnership,” Taiwan’s Foreign Minister David Lin told Taiwan Today. “It fits strategically with [Taiwan’s] policy goals of pursuing regional integration and forging deeper connections with the Asia-Pacific and beyond,” he added. Reflecting a desire not to antagonize Beijing, the deal was called the “Agreement between Singapore and the Separate Customs Territory of Taiwan, Penghu, Kinmen and Matsu on Economic Partnership,” or ASTEP. Following two years of talks, ASTEP is expected to add $700 million to Taiwan’s gross domestic product over the next 15 years, boosting local output by $1.4 billion and generating more than 6,100 jobs, Taiwan’s Ministry of Economic Affairs said. Taiwan’s tariffs will be lowered in three phases, starting with removing import tax on 83 percent of Singaporean exports to Taiwan and ending with a virtual tax-free regime, while Singapore will eliminate duties on all imports from Taiwan. Singapore represents Taiwan’s fifth-largest trading partner and its sixth-largest source of foreign investment, with bilateral trade flows amounting to around $28 billion in 2012, compared to $8 billion in 2002. Taiwan has a trade surplus with Singapore that amounted to $12 billion in 2012, with the former being Singapore’s eighth largest trading partner and 10th biggest export market. Machinery and electrical equipment accounts for around two-thirds of the trade between the two Asian nations, making the relationship less complementary than other agreements such as Singapore’s pact with resources exporter Australia. Despite Singapore’s existing free trade agreement (FTA) with China, Taiwan’s special access to the mainland through its economic cooperation agreement is seen as attractive to Singapore businesses, helping Taiwan make its industrial structure more services-oriented, ANZ economists Raymond Yeung and Louis Lam said in a research note. Yet for Taipei, the agreement has more strategic implications beyond reviving its recently sluggish export growth. 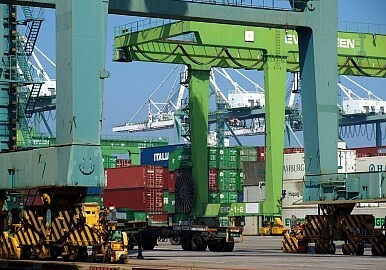 “Since Singapore is already a free port, on the surface Taiwan seems to be on the losing end,” the ANZ economists said. “Taiwan recently concluded a pact with New Zealand, another founding member of the [Trans-Pacific Partnership] (TPP)…By signing a bilateral deal with [Singapore], Taiwan will have a better chance to join this multilateral platform,” they added. China’s apparent acceptance of Taiwan’s FTA with New Zealand is considered to reflect improved ties between the two neighbors, according to analysts. The pact’s signing was concluded via webcast, allowing Taiwanese ministers to “witness” the agreement without setting foot in New Zealand. Commenting on the Taiwan-Singapore pact, a Chinese Foreign Ministry spokesman said Beijing had “no questions on foreign countries undertaking economic, trade and cultural relations with Taiwan…but we are against any foreign countries developing official government relations”. “Relations across the Taiwan Strait are improving and Chinese authorities are quite ready for Taiwan to get some international space,” Joseph Cheng, political science professor at the City University of Hong Kong, told Bloomberg News. Taiwan has already flagged its ambition to join the TPP by 2020, reflecting a desire not to lose ground in the regional free trade race. According to Brookings Institution analysts Richard Bush and Joshua Meltzer, Taiwan’s membership of the TPP could spark a broader revival. “Joining TPP can become a driver of domestic economic reform in Taiwan and in this respect could have a similar impact as [joining] the World Trade Organization,” the analysts told the Taipei Daily. Exports represent two-thirds of Taiwan’s GDP, and with China and Hong Kong accounting for around 40 percent, the Singapore agreement should help Taiwan reduce its dependence on the Chinese market. Following its pacts with New Zealand and Singapore, Taiwan is also reportedly planning deals with India, Israel and the Philippines. Whether Beijing is prepared to accept them, and the island it considers a renegade province joining the even bigger TPP, is yet to be tested.